My husband and I joke that our girls have zero chance of making it through life without needing glasses. Unfortunately though, there's probably quite a bit of truth in that and I have to admit that if Big Sister E and Little Sister B have poor eyesight, a large portion of that will be my fault. Ever since my first pair of glasses in sixth grade, my prescription has gotten progressively stronger until I'm to the point now where the first thing I have to do in the morning is put on my glasses or else I'm forced to press my face up to my alarm clock to see the time... which is displayed in large numbers only a few feet away. Don't even get me started at how close I would have to be to the television (or my kids, for that matter) in order to see things clearly. Which kid are you, again? While my glasses are an easy solution, I also love the convenience of wearing contact lenses. Once they're in place, I can forget all about them and be on my way to seeing clearly, grabbing a pair of sunglasses, swimming, playing, driving and more. Unfortunately, as I've gotten older my eyes have rebelled more and more when I wear my contacts. I go outside and the sun, wind and pollen in the air make my lenses feel dry and stiff. I stare at the computer screen for too many hours during the day and my eyes feel sore and tired. Basically, I just generally wear contacts for a few hours and by the time the evening rolls around I have a bloodshot look and a strange feeling that it is hard to blink. Not exactly my goal for most days. I always assumed that having my eyes feel uncomfortable during or after wearing contacts was due to... well, my eyes. 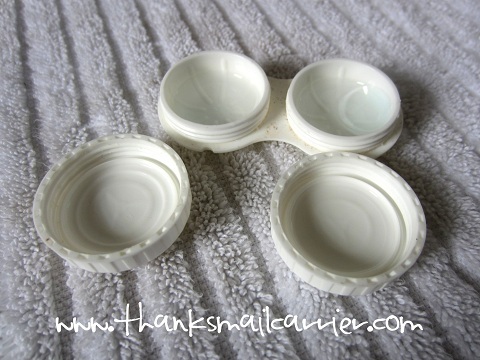 I've tried a few different contact lens solutions over the years but never really paid enough attention or noticed that any of them made any difference. They're all the same, right? Lately I'm not so sure, now that I have embarked on the Biotrue Challenge. My eyes are definitely happy about that. 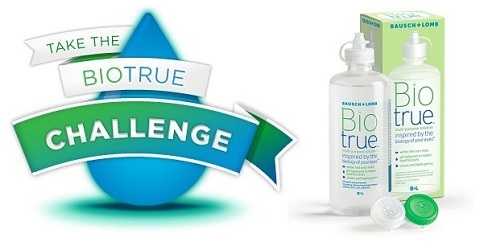 Stay tuned next month where I will report back on my results of the Biotrue Challenge (switching out my current contact lens solution for Biotrue) to find out the results! Why not switch out your solution today and see the difference yourself - take the Biotrue Challenge! Thanks to Bausch + Lomb, one of my readers could be one (1) of ten (10) exclusive winners of a 1-year supply of Biotrue® multi-purpose contact lens solution! Share with us below the changes you're making to be more comfortable at the end of day! This is a sponsored conversation written by me on behalf of Bausch & Lomb. The opinions and text are all mine. 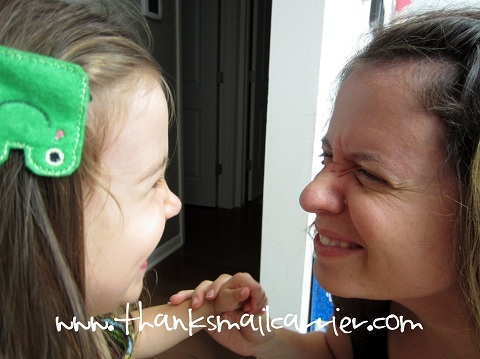 Bausch + Lomb BlogFrog Biotrue Challenge Sweepstakes Rules.